With a dizzying amount of diets on the market today, it can be difficult to cut through the clutter and find out which ones are best. At Lenahan Chiropractic, we don’t recommend diets but instead a gluten-free and paleo lifestyle. 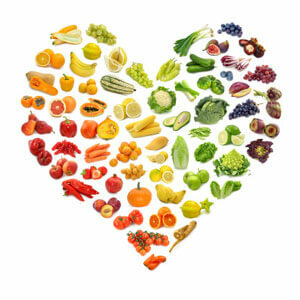 Our dietary counseling services can help you achieve better overall health. We’ve been led to believe that there’s a direct correlation between eating fatty foods and gaining weight. But it’s not fat that makes you fat but instead refined carbs which turn to sugar. Adopting a grain-free, paleo lifestyle can help with weight management, controlling blood sugar and keeping allergies at bay. By incorporating principles of the paleo lifestyle, you are more likely to achieve better health and keep pounds pared. One of the popular short-term approaches to weight loss is drinking shakes. Unfortunately, weight loss by this method is just a short-term win and is usually not sustainable. We are passionate about helping every member of the community achieve optimal health and wellness. One of the ways we do that is by educating people about the best approaches to eating healthily, which can help to eliminate the need for prescription medications. Feel your best and enjoy better health. Contact us today to book a nutritional counseling appointment! Certain fees apply.